Novelist Tullius (Somber Stroll, 2017, etc.) 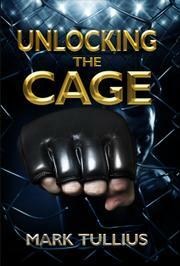 shifts his focus from fiction to memoir in this exploration of mixed martial arts fighters and their motivations. At the outset of this memoir, in 1999, the author tells of being a failed, even reluctant 26-year-old boxer and MMA fighter; he worked as a bodyguard and spent the rest of his time training or playing video games. He wasn’t confident in his fighting abilities, but he found himself driven to do it by something that he couldn’t understand. Thirteen years later, he began to question why he was so compelled to fight. With MMA becoming increasingly popular, he became engrossed in writing a book about what drove the sport’s participants. He traveled the country to interview hundreds of fighters and coaches; he also began training again and sparring with some of the people he met. The narrative alternates between short profiles of other fighters, the author’s search for why he never made it in MMA, and even the process of writing the book itself. During this process, Tullius took a beating, having been out of fighting shape for so long, and he parallels how he pushed himself physically (to learn more about himself) and how he pushed himself mentally (to find stories for the book). Tullius’ own story is the only one that readers experience from beginning to end, and it’s a compelling one. Along the way, however, he offers glimpses of a lot of other potentially engrossing lives—of fighters in small towns who know they’ll never make any money at it, of those who see fighting as a religion or as therapy, and even of people who saw the 1984 film The Karate Kid when they were young and felt inspired to train. Too often, though, the author spends only an hour or so with each of his subjects and winds up summarizing their stories. Apparently, in order to achieve enormous breadth in this book, he sacrificed some depth. Still, it’s a work that should be on the reading list of any MMA fan. A sometimes-engaging but scattershot book that’s part memoir, part journalism, and part inspirational self-help.